SAINT PETERSBURG, FLORIDA, UNITED STATES, August 27, 2018 /EINPresswire.com/ — Cats and dogs are magnificent companion animals that provide millions of animal lovers all around the world joy and unconditional love. Yet appallingly, a monumental amount of innocent animals are senselessly killed in shelters. A staggering 50% of the companion animals flowing into the shelters are stray and feral cats. Although dedicated animal advocates form rescue groups, fiercely argue for no kill shelters, and dedicate their lives to finding them loving homes shelters continue to kill large numbers each year. But one exceptional heartfelt individual has taken a practical approach to trying to combat this unfathomable issue and help our beloved animals. 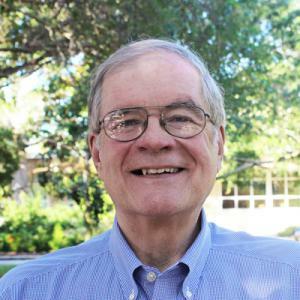 Frank Hamilton is Associate Professor of Management at Eckerd College and an animal welfare advocate genuinely concerned with policy, processes and organizations to eliminate euthanasia of companion animals. When Frank began volunteering in for an all-volunteer rescue organization in 1997 he had no idea of the scope of the problem. In 2000 the cat and dog rescue he volunteered for found loving homes for over 350 dogs and cats but he recognized that’s how many animals were being killed in his county shelters in the first four days of the year. Realizing most of the animals coming into these shelters are feral cats, Frank concluded the issue was an overwhelming overpopulation brought on by the failure to provide affordable and accessible spay and neuter. With the high costs of sterilizing cats in mind, Frank started a clinic focused on implementing T.N.R. (Trap Neuter Return) or T.N.V.R. (Trap Neuter Vaccinate and Return) and successfully fixed thousands of cats and kittens. From 2002 to 2006 Frank’s all volunteer clinic performed 4,600 spay neuter surgeries at ten dollars a surgery including rabies shots, and ear tipping. In 2006 he established a bricks and mortar clinic grew the clinic to about 11,000 surgeries a year by 2010. What Frank provides is a solution to involve the community. He holds Austin, TX in high regard as a leading a no kill animal shelter with high adoption rates and clean, healthy conditions for animals. Frank’s interest and research is figuring out the most feasible way so besides having heart you must use logic and this means effortlessly reasoning with the politicians. Currently he is writing on feral cats and animal welfare to address the tremendous void in scientific animal welfare research. CUTV news will feature Frank Hamilton in an interview with Jim Masters August 27th at 1 p.m. EST.